When hiring a consultant, you need both expertise and responsiveness. Fitch & Associates has earned a reputation as the leading EMS/public safety consulting firm because we understand that our future is linked to your success. We don’t believe in cookie cutters. We do believe in listening to every client’s unique needs. Fire departments of all sizes, including career and volunteer, face challenges related to staffing and labor, crew configuration, deployment and station location, budgets, leadership and more. Local government officials, hospitals and both public and private ambulance services have engaged us on projects including EMS system design and deployment, detailed operational and financial reviews, as well as strategic planning. Providers of air medical services have unique needs that can only be understood by professionals with a deep knowledge of aircraft, aviation operations and the provision of healthcare. Organizations providing critical care ground transport to adult, pediatric and neonatal patients face a complex clinical, operational and financial environment. Our team has hands-on experience in operating and managing specialty and critical care transport services. More than ever, the current and future leaders in emergency services need a wide range of leadership training and education, led by some of the most respected and experienced leaders in their fields. Communities are seeking to build systems that achieve defined clinical outcomes, response time reliability, high customer satisfaction and economic efficiency—simultaneously and consistently. Organizations tackle complex financial, reimbursement and funding issues every day. We work with both leaders and caregivers to ensure compliance with federal reimbursement regulations. 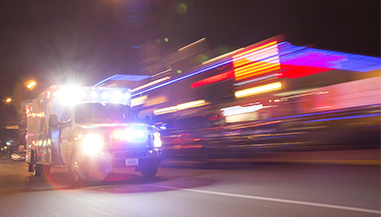 Hospitals and EMS systems must break down silos and create integrated mobile healthcare systems that reduce costs and improve the health of their communities. Hospitals and local governments providing ground- and air-based medical transport services and multiple professional associations turn to our team for experienced and effective leaders and on-site management services.